Last month, our home state of South Carolina released a municipal recycling report detailing the results of a new economic impact study on the benefits of increased household recycling rates. The study was a collaborative project conducted by the SC Department of Commerce’s Recycling Market Division, the SC Department of Health and Environmental Control, and the Moore School of Business Division of Research at USC. Overall, the study found that a few small changes in household recycling efforts can add up to a significant economic impact for the state as a whole. For example, the study found that if just one-percent of all South Carolina households recycled an additional eight newspapers a month, the state would see up to $3.8 million in economic activity, including the creation of 16 jobs and an estimated $794,000 in labor income. Similar results were reported for recycled household goods across all commodity types. The study also found that household-level recycling efforts benefit South Carolina in other substantial ways, such as increased tax revenue, job development, and an overall boost to the economy. The recycling numbers needed to see this kind of growth are relatively small, though the overall goal is to develop a robust green economy in the state. According to the study, if that same one-percent of households in South Carolina committed to recycling an additional eight newspapers per month, the state would see an annual gain of up to $92,000 in tax revenue. Our state currently recycles about 26.5-percent of the total volume of residential solid waste produced each year. In order to be considered a green economy, South Carolina needs to increase this number to 75-percent. This volume increase would raise the economic impact of the recycling industry in South Carolina from $12.9 billion and 54,121 jobs to roughly triple—$36.8 billion and 153,179 jobs. At this level, the recycling industry would account for roughly 9-percent of the South Carolina economy overall. Residential recycling has the potential to be a significant job generator for the state of South Carolina. 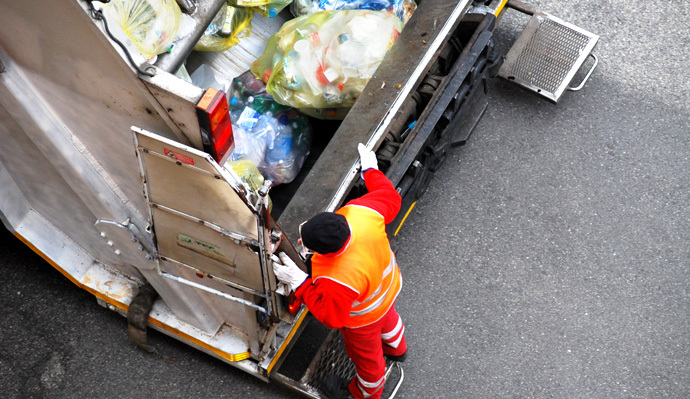 The report estimates that the recycling industry supports a job multiplier of 2.4, which means that for every 10 jobs created in the recycling industry, 14 additional jobs are generated elsewhere in the economy. The report concludes that the recycling industry has a greater ability to scale up employment than the average South Carolina industry. The study also includes several statistics on the cost of recycling compared to landfilling, noting that private sector landfilling is often 20 to 30-percent less than public sector landfilling due to economies of scale and in-house transportation and disposal. While it is true that the cost of recycling varies with the market, becoming more or less affordable, or even profitable, based on the price that recycling firms like Recover can get for processed recycled materials on the open market, it is also true that private recycling companies can make use of the same economies of scale and in-house operations savings that private landfill companies use. At Recover, we can almost always find a way to make municipal recycling more cost-effective than landfilling. We work hard to maintain a strong service record and good relationships with all of our clients and buyers so that we can offer the best rate and the fastest turnaround time available. Ultimately, public-private recycling partnerships are a win-win-win: good for the county, good for the constituents, and good for business. The Recycling Market Development Division at the S.C Department of Commerce facilitates job growth and capital investment by assisting recycling industry companies operating within the state. For this study, S.C. Commerce’s Recycling Market Division worked with DHEC’s Office of Solid Waste Reduction and Recycling, which assisted with the development of the structure of the study, provided recycling data and technical assistance, and helped review the final report. Recover is extremely grateful to the Recycling Market Development Division for all of the important work they do to make residential and industrial recycling more viable and to promote a green economy in South Carolina.